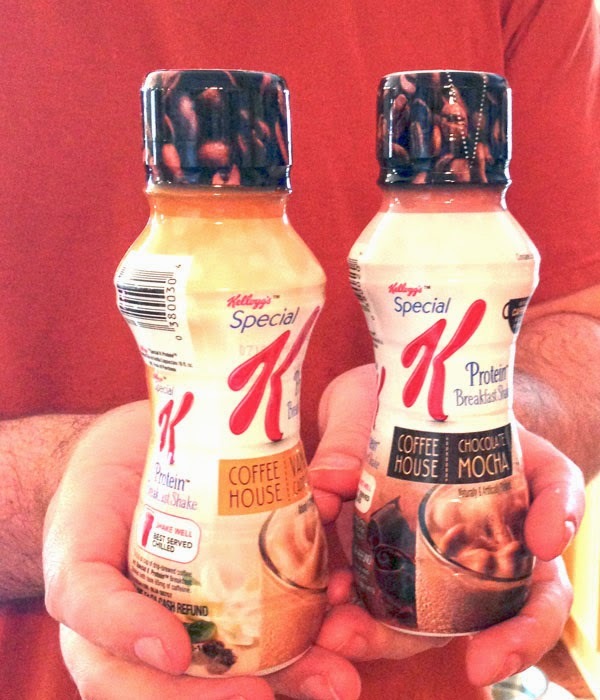 I hadn't heard of Special K™ Coffee House Breakfast Shakes before a recent BzzAgent opportunity to test a couple of samples. I've tried other breakfast drinks, including a Special K™ protein shake, but I don't like most of them. I drink Instant Breakfast a few times a week to help increase my vitamin D and calcium intake, but otherwise, I find these drinks usually thick, chalky, and terribly sweet. My husband and I both tried the Coffee House Breakfast Shakes. The chocolate mocha flavor isn't bad. It's more palatable compared to the typical protein drinks my husband is used to and doesn't have the chalky texture he can't stand. The flavor and texture is fine, but there is a lingering aftertaste that reminds my husband of artificially sweetened drinks, which isn't so good. I tried the vanilla cappuccino flavor Special K Coffee House Breakfast Shake. I really liked how it reminded me of vanilla bean. Subtle, not artificial, and not so strong that it was unpleasant. The flavor profile was nice and a lot better than the vanilla Instant Breakfast shake. Overall, the texture was good. Still thicker and heavier than I like to drink in the morning (I don't even like a glass of milk that early), but sipping slowly, I did enjoy it and didn't feel like it was as heavy as if I had drank it quickly. I work from home, so it's nice to grab a bottle and head into my office to get to work earlier because I'm not wasting time prepping a breakfast meal. Also convenient as a snack on the go, so if I have a lot of back-to-back meetings, I only step out for 30 seconds to run to the fridge. I'm not using these for weight loss since I'm a bit underweight, but it's a good way to add a few calories if you're like me and need to consume more, not less. Add it as an extra snack to your usual meal plan! The downside is like any liquid diet drink, you really do still have to exercise some self-control. We were both still hungry after drinking one, so it doesn't fix that problem. I am not looking to lose any weight but my husband talks about losing a few pounds, so I think these would be a good breakfast or lunch option if he can handle avoiding unhealthy snacks in between. As for the caffeine, we didn't notice anything but we both drink a good deal of caffeine (2-4 cups of soda or coffee per day), so we are probably a bit immune to small doses of the stuff. Overall, it's better than the competitors in terms of taste and texture, so if you enjoy breakfast drinks, I think you'd want to try the Special K Coffee House Breakfast Shakes. But keep in mind that it's not radically different from other drinks. It's a variation on a theme.